Music of lyrical beauty, dramatic fervour and majestic aspiration, very assured and very English, with hints of Elgar’s The Kingdom and Vaughan Williams’s A Sea Symphony in the choral writing. George Dyson’s Choral Symphony (1910), composed when he was a student at Oxford, was only discovered recently and is here recorded for the first time. It’s an ambitious setting of Psalm 107 “on the expulsion from and homecoming of the Jews to Israel”, which draws from Dyson music of lyrical beauty, dramatic fervour and majestic aspiration, very assured and very English, with hints of Elgar’s The Kingdom and Vaughan Williams’s A Sea Symphony in the choral writing, dedicatedly performed by The Bach Choir, David Hill also conjuring a splendid response from the Bournemouth SO. The vocal soloists, including Roderick Williams, are a distinguished crew, and the work itself is well worth getting acquainted with. 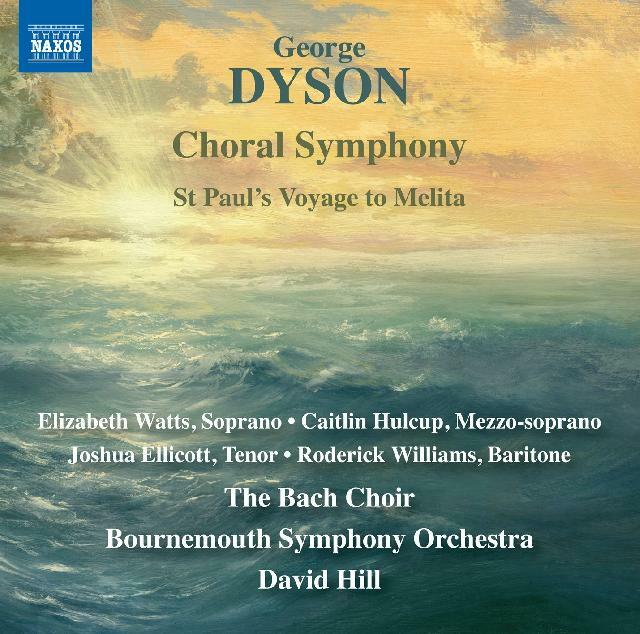 Texts are included in the booklet, so too for St Paul’s Voyage to Melita (1933), now of greater individuality and musical adventurousness, a certain cosmopolitan quality having crept into Dyson’s language. Fine recording, Poole Lighthouse’s reverberation kept in check.